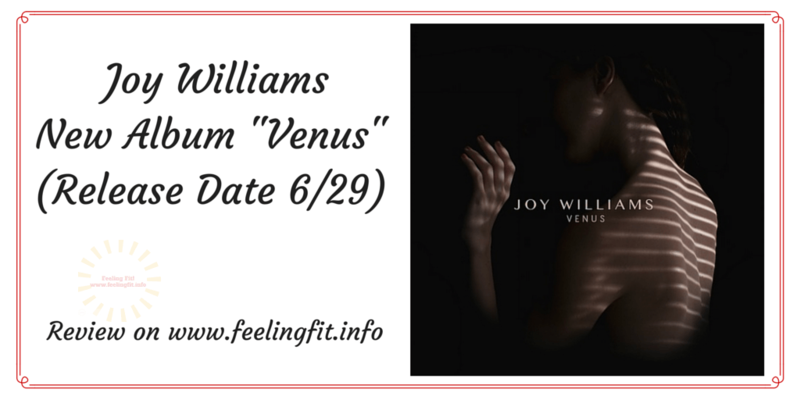 Joy Williams Venus Review - Sam Enjoys & Shares! You may know Joy Williams from the four-time Grammy-winning folk-rock duo The Civil Wars. Her new solo album Venus is released on June 29, 2015. Venus features 11 beautiful and haunting songs that showcase her talent. This post was original posted in Sam Enjoys sister blog Feeling Fit. Credit: All images and quotes from Joy Williams were provided by Sony Music and the One2One Network. Wow! Listening to the album, I feel that quote is a wonderful description. The songs are at times sad, reflective, haunting, optimistic. I feel almost like a close friend is pouring out her heart to me. I felt touched listening to Venus for the first time. Who doesn’t need a little acceptance, transcendence and transformation in their life? It is hard to “judge” authenticity of another person, especially one I don’t know. I am not a long-time fan and only have casually heard a little of her previous work. So I am going out on a limb when I say that the album feels honest and confessional. I recommend Venus by Joy Williams if you enjoy singer-songwriter music by women with beautiful voices. Some songs are a little more upbeat, most are slower. I can see listening to this when I am in a more contemplative mood. Venus‘ release date is 6/29/2015. It is available at many music retailers. For your convenience, I included links to order via I-Tunes and Amazon.